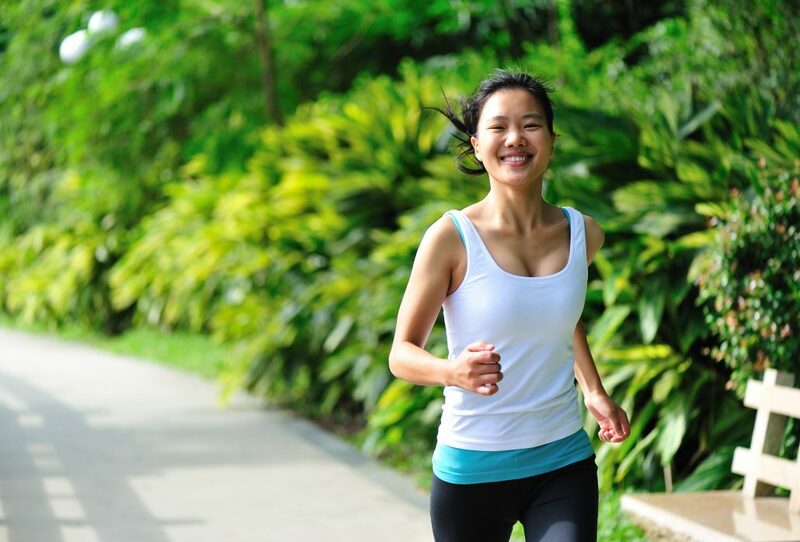 Get checked by a health professional such as a chiropractor before starting a running program to make sure it is an appropriate fitness activity for you. Then start-out slowly to allow your body to warm-up and stretch-out after you stop. If you suffer an injury or experience pain that lasts longer than your usual post workout soreness, ice the area to reduce swelling and inflammation, and consult a chiropractor. Stretch your arms in front of you and place both hands on a sturdy object. Stand with feet comfortably apart with toes pointing towards the wall. Put one leg back about 12 inches from the other, keeping the knee straight and your foot flat on the ground. Bend the knee of the front leg so your hips mov e forward and lean into your hands. Feel the stretch in the back of the hips and buttocks.Adopt the same position as for the upper calf stretch. Shift the foot of your back leg forward until the toes are just behind the heel of the front leg. Keep both heels on the ground with toes pointing forward. Lower your hips by bending both knees.